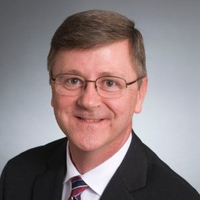 Dr. Henry Turlington, Ph.D., is the American Feed Industry Association’s director of quality and manufacturing regulatory affairs, a role that created within the organization when he joined in 2013. The AFIA is the world’s largest organization devoted exclusively to representing the business, legislative and regulatory interests of the animal feed industry and its suppliers. More than 75 percent of the commercial feed in the United States is manufactured by AFIA members. Dr Turlington’s role includes ensuing compliance to Food Safety Modernization Act with regard to animal feed as well as spreading focus to the overall quality and technical leadership to AFIA’s third-party certification programs.